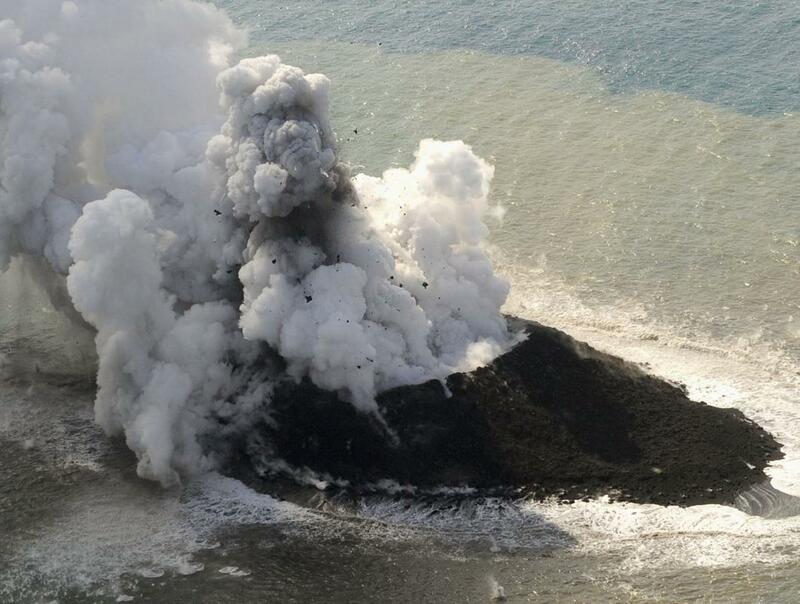 A volcanic eruption in the waters south of Japan has produced a new island, and while it's uncertain if it will last, it could become a permanent new part of the nation's territory. The island apparently measures about 200 metres wide at the moment, and it joins an island chain known as the Ogasawara Islands, which is a mostly uninhabited archipelago about 1,000 km to the south of Tokyo. This is the second island to sprout from ocean waters in recent times. A mud volcano was credited with creating a small island off the coast of Pakistan after a major earthquake shook the country's southern mountains in late September. This particular new island is due to a more conventional volcano, though, which was likely formed as part of the Pacific Ring of Fire. Islands like this have been known to get eroded away by waves and tides, but depending on how long the eruption lasts, this could become a permanent addition to the island chain.